Pan Fried Panner For Baby – Paneer fried with little ghee which makes a perfect finger food for babies. 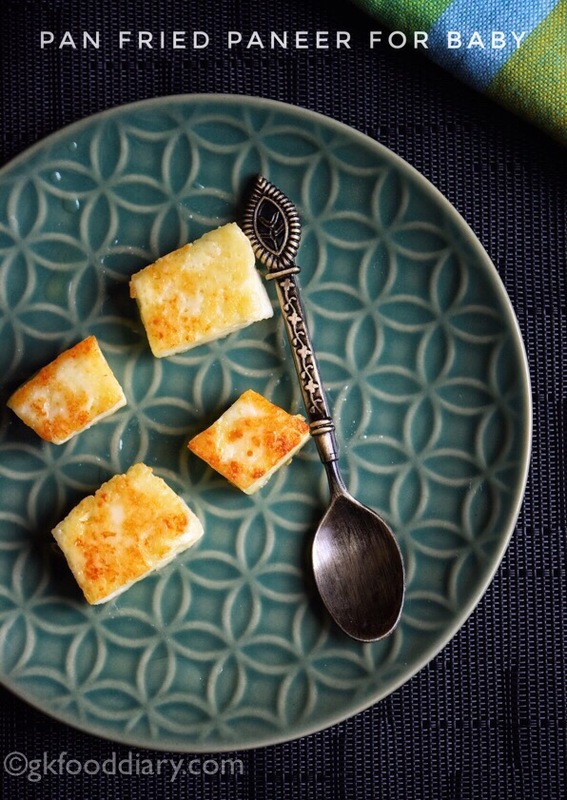 Paneer is packed with protein and essential nutrients. This panner fry is a good option for babies as a mid-morning or evening snack. And it’s not only nutritious but also very tasty. This paneer fry can be given to babies from 8 months as finger food. Giving finger foods helps encourage self-feeding in babies. 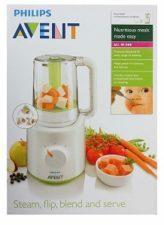 Also, check paneer fruits puree for babies. Here is how to make paneer ghee fry recipe for babies. 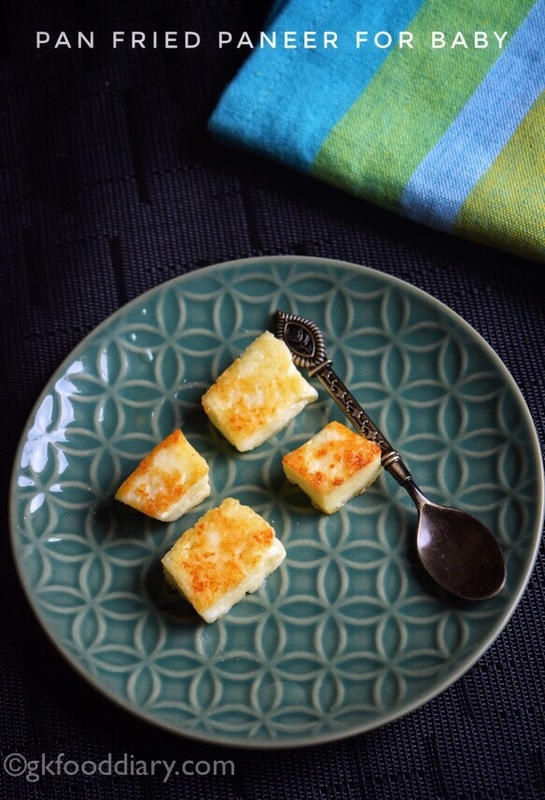 Paneer fry - Panner fried in little ghee which makes a perfect finger food for babies. Heat 1 tsp of ghee in a pan. Let it melt in low, medium flame. Now add paneer cubes. Saute the paneer cubes for 2 minutes on one side and turn the paneer cubes with care and cook it for one minute until done. 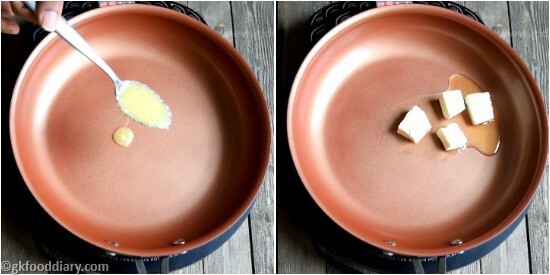 Remove from the pan and drain off the excess ghee on a kitchen towel or tissue. Serve your baby! 1. Heat 1 tsp of ghee in a pan. Let it melt in low, medium flame. Now add paneer cubes. 2. Saute the paneer cubes for 2 minutes on one side and turn the paneer cubes with care and cook it for one minute until done. 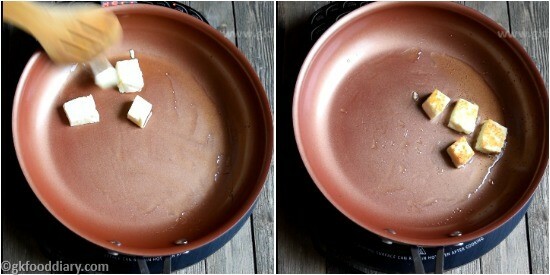 Remove from the pan and drain off the excess ghee on a kitchen towel or tissue. Serve your baby! Paneer ghee fry is ready! 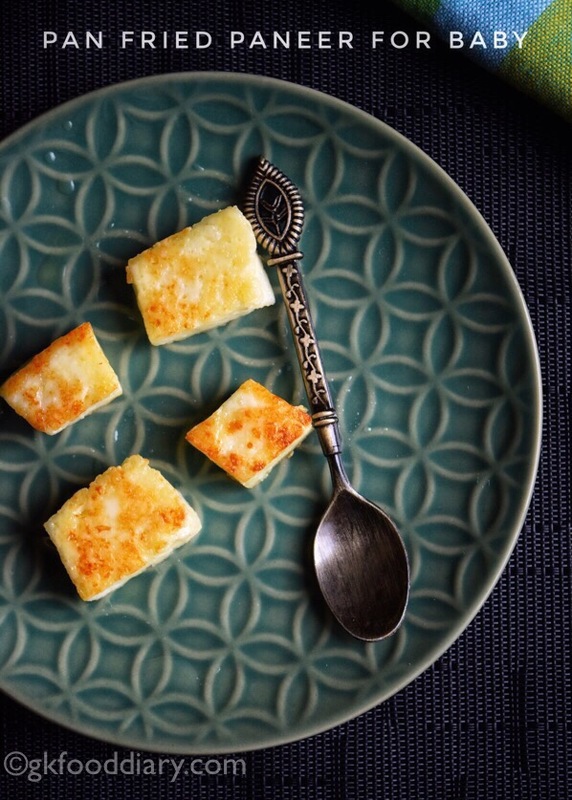 You can cut the paneer cubes to small pieces after frying and serve your baby. Watch your baby while self-feeding to avoid choking. Consult with your baby’s pediatrician before introducing any new food.